By now the knowledge of why it is more beneficial to use renewable energy instead of utilizing non-renewable resources has become quite wide-spread yet not many people are really aware of the real extent of this technology has brought along. Solar panels are becoming increasingly popular among households all over the world as they can be used to generate electricity, heat and lighting. This section will briefly guide you through all the basic information you should know about solar panels and their possibilities in lighting. What is solar energy?Solar lighting. Putting it in very simplified terms, solar energy is energy which is produced by sun or to be more precise – from the solar radiation. Since majority of the world’s electric power is still being produced by coal which is non-renewable natural resource (it is limited), the shift from using energy produced by big companies to utilizing energy produced by solar panels is having a serious impact on the development of the industry. The usage of solar energy is experiencing rapid growth. In 2015 the electric production of solar power had increased for 33% percent compared to the previous year. Moreover, different government incentives are being implemented to motivate households and business owners to invest in solar panels and hence there is a very little chance that this growth will be interrupted. Nevertheless, the overall share of solar energy in the total production of electricity is still quite low (less than 2%), which means that there is still plenty of space for potential and new solutions to be found in this sphere. Monocrystalline Silicon. These solar cells are also known as single-crystalline silicon and they contain high-purity silicon. Compared to other types of cells, monocrystalline silicon has the highest efficiency rate (15-20%) and the longest life expectancy. However, this is also the most expensive of all the options. Polycrystalline Silicon. Compared to monocrystalline silicon, polycrystalline panels are simpler and waste less material in production than monocrystalline solar panels, they also have lower efficiency rate (13-16%) and hence they cost less. Thin-film solar cells. These cells contain various photovoltaic materials such as amorphous silicon, cadmium telluride and copper indium gallium selenide and they tend to be one of the TOP choices among solar-panel owners. There are several reasons for this but the main advantage is that his technology is easy to be produced on mass scales. Lower costs of production makes the product more available for mass consumption for households of various income. Also, they are more aesthetically pleasing than silicon panels and easier to be installed. However, thin-film solar panels are less efficient (approx. 10% efficiency) than silicon based solar panels. to use them in different technologies that operate with solar batteries (wrist-watch, calculators, chargers etc.). Typical solar lighting system is a lot smaller than the rooftop solar modules meant to produce greater amount of power yet the principle remains very similar. The collected energy is being stored in a rechargeable gel cell battery which with the help of intelligent control can use this energy to turn on the LED lights during the evening. Mainly solar lighting is being used to provide energy for outdoor lights: lanterns, lamp-posts, pathway lighting, streetlight, flood lights etc. Solar lighting technologies are very easy to be maintained and now they come in various designs, styles and sizes extending the possibilities of solar lighting and making solar lighting products more attractive to individual consumers. 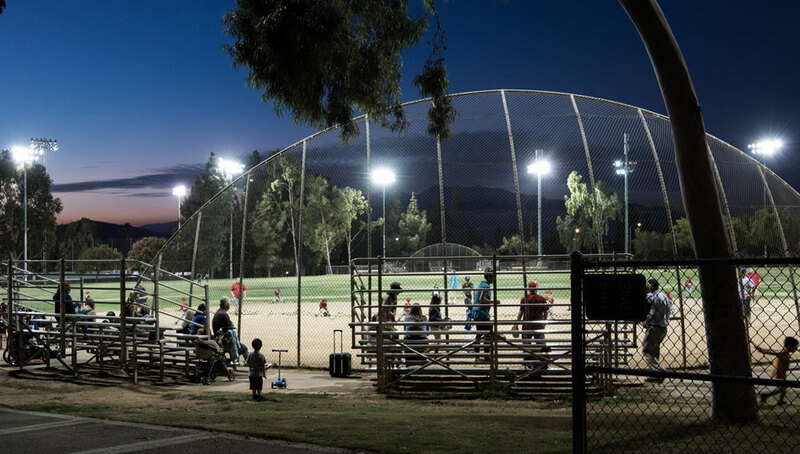 Flood lights are very useful technology to be included in the exterior environment of a private property or even larger areas such as stadiums and parking lots. Also, the functional possibilities of flood lights are very diverse as they serve various purposes: from providing aesthetical effects to increasing security of a building or area. The technology of flood lights is constantly being improved and the latest versions include solar flood lights i.e. flood lights that utilize solar energy. For several years, solar flood lights have become available in different designs, thus increasing the possibilities and efficiency of solar powered flood lights. What are flood lights?What are solar flood lights?Solar flood light parts.Solar flood light usage.Solar flood light types. Flood lights are lighting fixtures that are able to illuminate different large-scale outdoor objects and areas such as buildings, stadiums, stages, pools etc. While flood lights can be used both for indoor and outdoor objects, due to their specifics and unique functions they are mainly used outdoors. The main difference between flood lights and regular lights is that flood lights produce wide-beam light with comparatively high intensity thus being able to provide the illumination of much wider areas both indoor and outdoor. 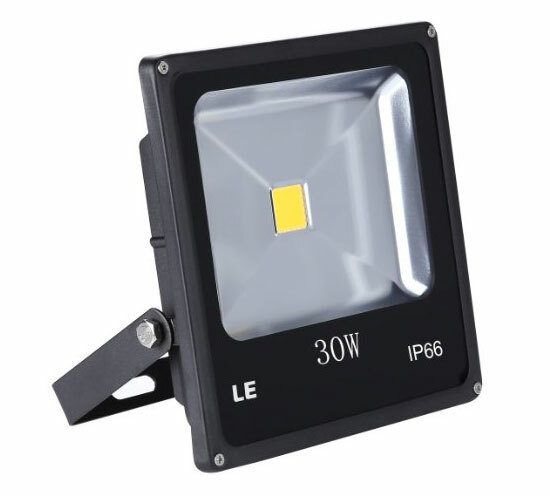 Since in most of the cases outdoor flood lights are being exposed to different harsh weather conditions such as wind, rain and snow potentially damaging the lamps, they have fixtures that are typically made from durable metal casing that protects the lamps and ensure their endurance. Nevertheless, if being used often, they do require occasional maintenance and check-up. As for the bulbs being used inside these fixtures, the most common bulb types used in flood lights typically are LED, HID and halogen. What are solar flood lights? As mentioned before, solar lighting technologies have been made compatible with flood lights, producing a new type of flood lighting that is more environmentally friendly and will cost you less throughout the years. Visually solar flood lighting do not differ much from common flood lights: they look quite the same and perform the same functions (i.e. illuminate large areas) yet the principles of how each type of lighting is able to produce light slightly differ. Solar flood lights have solar panels attached to them and instead of being wired to the grid the lights are being turned on by the solar power which has been collected with the help of the panel and stored in the battery during daytime. Solar powered flood light parts. Solar panel. This is the panel which is directly connected with the light fixture and will collect the solar energy. It is advised that you mount the solar panel in area which receives at least 8 hours of sunlight per day. Usually the panel is attached to a stand which allows you to adjust the angle of the panel for better exposure to the sunlight. Light fixture. Light fixture is the part of the lamp that contains the casing and the bulb itself. This part also can be tilted up and down. Mainly you will find LED lamps being installed in solar flood lights as LED solar flood lighting is the most efficient of all the options available. Light fixture wiring (power cable). A cable that connects the panel with the lighting fixture. Main battery unit. The battery with charging circuit is typically attached under the lighting fixture. This is the part which stores the converted solar energy and will power your solar flood light. Generally, batteries in solar flood lights have to be changed approximately once every two years. Built-in motion sensor. A sensor which can detect motion and will turn on the flood light only when a movement has been detected within a given range. Motion sensors are used both for security reasons as well as to save the energy and use it only when it is necessary. Built-in dusk-to-dawn sensor. This sensor is typically used for objects that require illumination during the evenings and night hours. As the name already indicates, dusk-to-dawn sensor detect the amount of light and turns the food light on only in the dusk to provide light during the night and turns it off when the sun is rising again in the morning. The specifics of solar flood lights do not decrease their functional possibilities of application. There are many ways of solar flood light usage and they can be divided into two categories: either in accordance with the location or in accordance with the functional purposes. Illumination in outdoor areas. As mentioned before, flood lights are mainly used in outdoor areas as there are numerous target applications for them. 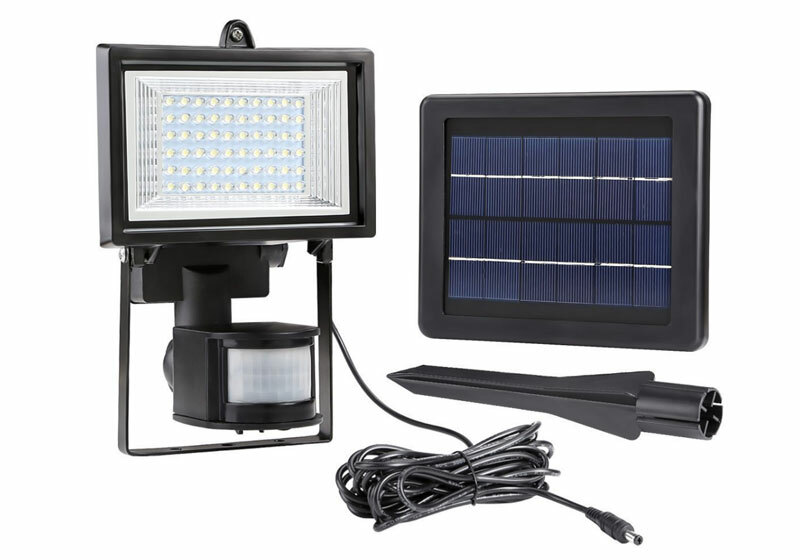 Outdoor solar flood lighting is typically mounted to illuminate such objects as homes, backyards, stadiums, arenas, sports fields, commercial buildings, parking lots and so on. Illumination in indoor areas. While this way of application is less common due to the more complex connector requirements, it is still possible to use solar flood lights in indoor spaces such as theaters and indoor arenas as well. Aesthetic functions. Sometimes we illuminate objects because we want them to be seen during the night for security reasons but sometimes it is nice to illuminate objects to improve the ambience during the evening hours. Do you have a gorgeous fountain in your yard or a lovely, old tree stretching majestically in front of your house? Solar flood lights can be neatly used to expose these objects and it will surely make the atmosphere of your backyard more pleasing. Security functions. Installation of solar flood lights as a security tool is nothing new. 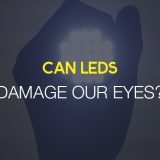 While people are still debating whether illuminating your house and yard actually will deter burglars from breaking into it (there are no certain statistics on it and the few research that has been conducted reveals with very contradictory results), many house-owners believe that if their home will be exposed during the darkest hours, it has less likely chance to be robbed since the neighbors could be able to notice strange movements around the house and motion sensors can trigger light and scare-off the burglars making them leave your property. Ensuring light in areas without permanent electricity. In many distant areas such as deserts and parts where it is difficult to ensure permanent supply of electricity, solar flood lights can surely help a lot in providing the minimum necessary amount of electric lighting. In cases like these the question is not anymore about saving the money on consuming less electrical energy, but more about having an efficient solution in parts where electricity is being constantly interrupted by natural forces or where simply there is no external power supply ensured. Thus it also becomes a very good solution for different rural lodges and eco-farms. Solar-powered flood lights vs. wired flood lights. If you have read the article this far, there probably is one great question circling your mind: why should I choose solar flood lights over the good, old wired flood lights? To disburden you from this big rumination, a comparison of each type of flood light advantages and disadvantages is being listed below. Wired flood lights work on more power and thus they can produce light of much higher intensity. The light beam can be produced brighter according to the individual needs, circumstances and situations. Wired flood lights have limited areas where the light can be installed. You will always need a permanent electric source nearby and this definitely is a problem for remote areas without permanent electric supply. Compared to solar flood lights, wired flood lights are more difficult to install and they contain more wiring and cables decreasing the aesthetic value of the lighting as well as limiting your possibilities to install the lights without a help of a technician. Wired flood lights consume more energy than solar flood lights and this will surely be reflected in your monthly electricity bill as well. Unless you invest more in additional energy saving features such as special sensors, expect your bills to increase quite significantly after using your wired flood lights for the first time. Nevertheless, usage of energy efficient light bulbs e.g. LEDs can make a great difference as well. Solar powered flood lights can be installed more easily and it takes less time to do it. The instructions are very easy and it does not take much knowledge or technical skill to perform the mounting and installation process. If you want to move your solar flood lights elsewhere, the reinstallation of the lights is also a lot quicker than in the case of wired flood lights. The possibilities location-wise are nearly limitless. Solar flood lights can be installed almost anywhere with only one condition: it has to be a place where the panel would be exposed to the sunlight at least few hours per day. solar flood lights surely will pay off in a while. If you will switch from your wired flood lights to solar powered flood lights you will most certainly see a great difference between your current and previous monthly electricity bills. 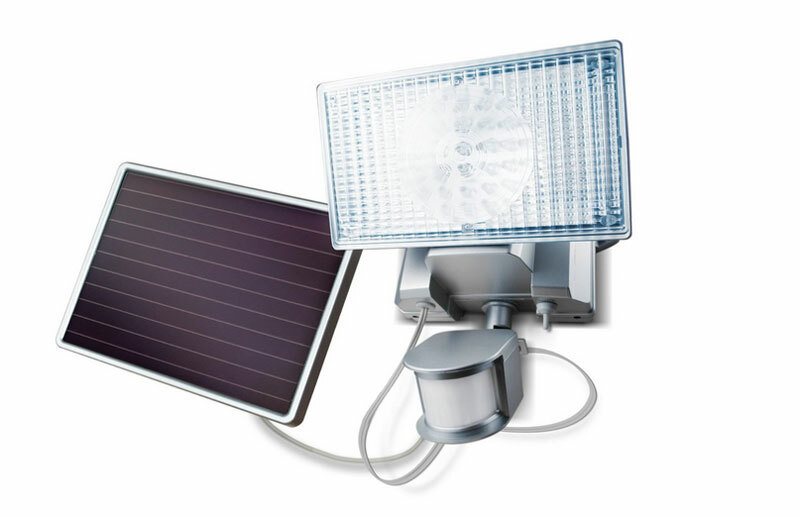 Solar flood lights are environmentally friendly technology. Exhaustion of non-renewable resources is a great problem and one of the major causes of environmental crisis many countries are experiencing. Using less of non-renewable resources and shifting towards renewable energy is one of the ways how we can try to slow down the pollution and save the resources for the future generations. Solar flood lights are more expensive than wired flood lights. As mentioned, solar flood lights are cheaper in long-term span but you will need to spend more to make that first investment and buy a solar flood lighting fixture. Solar flood lights require more maintenance. Since solar flood lights contain many parts that require frequent maintenance (solar panel) and replacement (battery), this simply is an extra effort that solar flood light owners have to make. Also keep in mind that the popularity of solar panels has been noticed by thieves as well and they have the knowledge of how to quickly remove and purloin the solar panels to sell them in the black market. That’s why think about some additional security measures if you have numerous valuable flood light solar panels located around your property. Landscape solar flood lights. Landscape floodlights serve purely aesthetical functions as they are used to illuminate objects on a ground level and make them look nicer in the dark. Work flood lights. Since their main aim is to provide light in different outdoor areas where work is being performed e.g. construction fields, work lights are more endurable and their fixtures are more robust usually including adjustable tripod-style stand. These lights are also usually being transported a lot and hence it is a great advantage to use solar powered flood lights which can be installed and reinstalled much easier than wired flood lights. Flood lights have become a casual part of the exterior of every larger home. You can see them placed in many backyards, stadiums, parking lots, arenas and outdoor stages as well. Generally speaking, there is no other light that would serve the purpose of illuminating large areas and objects better than flood lights. They are very handy as they serve both aesthetical and security functions. Moreover, newest generation flood lights can be complemented with different additional features that make them more energy efficient and increase the possibilities of their usage. One of such features is motion sensors that control when the light is being turned on and off by detecting movements. Combining motion sensor flood lights with solar panels to use solar energy instead of electricity to run the light is also nothing revolutionary and it doubles the energy efficiency of the lighting. Further on you will be briefly introduced with the specifics of solar motion sensor flood lights, explaining why this happens to be one of the best choices out there in outdoor lighting market up to this moment. What they are?How they work?Usage. What are solar motion sensor flood lights? The basic principle of solar motion sensor flood light is similar to the one of regular flood light. The lighting fixture consists of the casing and the bulb (in majority of the cases it will be LED bulb) which can create wide-beam high-intensity light. Then there is also a solar panel which is connected to the lighting fixture with a cable. Under the lighting fixture there will be the main battery unit which stores the collected energy and the sensor which will trigger the light to turn on after detecting a movement. Thus solar motion sensor lights are not working constantly, plus they do not consume any electrical energy which means that this is a very energy efficient solution to pick. 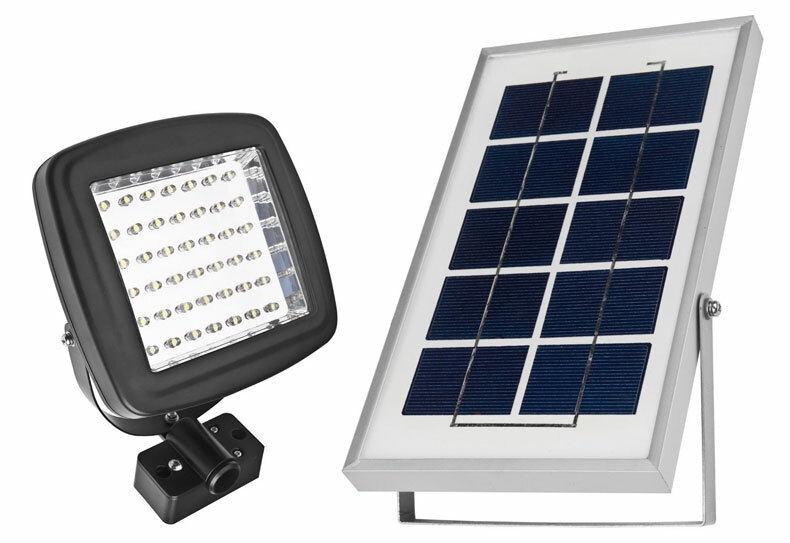 Solar motion sensor flood lights are used both for safety reasons (illuminating dark pathways, hallways, porches etc. when you’re coming home thus enabling the visibility) and security purposes (scaring burglars off as their movements will be detected, triggering the flood light). How motion detector lights work? 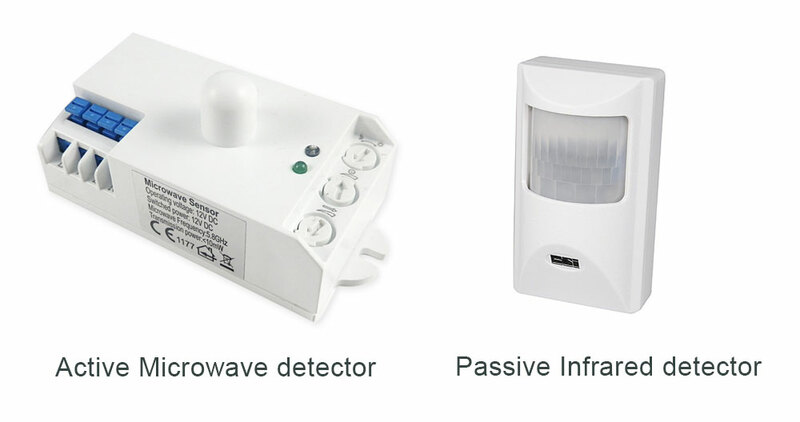 Motion detectors are small electronic devices that detect infrared waves. It means that the detector does not detect the movement itself but rather the heat waves that moving objects are radiating. Each detector has a particular field of view (usually it’s a semicircular field of view which can be up to 240 degrees with adjustable distance range) and once a moving object has been detected within this field, it triggers the light. The amount of time for how long the light stays on depends on the settings of the timer, but usually the given range you can choose from is anywhere from 1 to 20 minutes. After the given time, the light is automatically being shut off until another movement is being detected. During the daylight time the detector is not reacting to the movements since photocell installed in the detector will deactivate the light. Of course, it might happen that the detector detects quite unnecessary movements such as pets and flying leaves but this can be eliminated by adjusting the settings of distance range and narrowing the field of view. Also, pet immune motions sensors are available. These sensors can measure the weight of an object and ignore animals of a certain weight, thus making sure that the light is not being turned on every time a passing cat or bird happens to enter the field of view. Although the light is being turned on and off automatically, it does not mean that you cannot operate it manually as well. It is also possible to use the switch to keep the light on all the night in case you need it to and turn back to automatic detecting mode afterwards. Motion activated flood light sensor types. 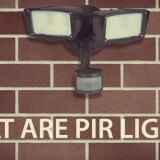 Passive infra-red (PIR) sensor lights. PIR sensors are currently the most popular of both sensor types available. 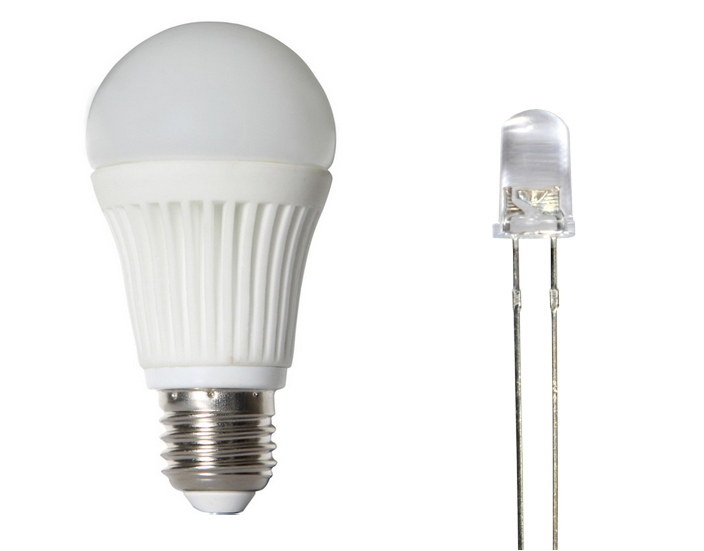 PIR sensor works by measuring infrared light which is emitted from objects generating heat. These objects typically are humans and animals but those can also be cars and other vehicles. A crystalline material detects the infrared radiation which has entered detector’s field of view and it sends out signals to control system which immediately triggers the light. To be more precise, the sensor is not activated just by the body heat itself – the detector actually analyses the changes in the condition measuring the heat differences that have occurred in the field (heat condition before and after the object has entered the field). In other words, PIR sensor detects the broken field of a “normal” temperature caused by the heat of a moving object entering it. Active sensor lights. 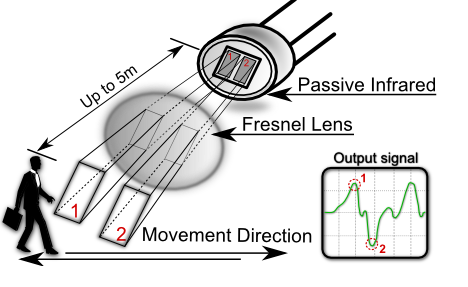 Although active sensors also detect infrared light, the detecting principle is slightly different from PIR sensor: instead of analyzing the heat difference of a field when it has been broken by any new object, active sensors actively (thus the name) transmits stimuli (three most common signal formats used in active sensors are tomographic, ultrasonic and microwave) constantly detecting, measuring and comparing the changes. One of the reasons why active sensor lights are being used less than PIR lights is the fact that due this regular activity, the sensors consume greater amount of energy. Dual motion sensor lights. This is known as one of the best options out there in terms of preventing any false alarms which can be quite annoying and discourage many people from installing motion sensors. These sensors are switching the lights on only when both factors – motion and body heat – have been recognized thus eliminating a chance that some flying object such as leaves or falling branches might trigger the lighting. The usage of solar motion detector lights. As mentioned, solar motion detector lights can be used for various purposes regarding both security and safety. Security purposes. 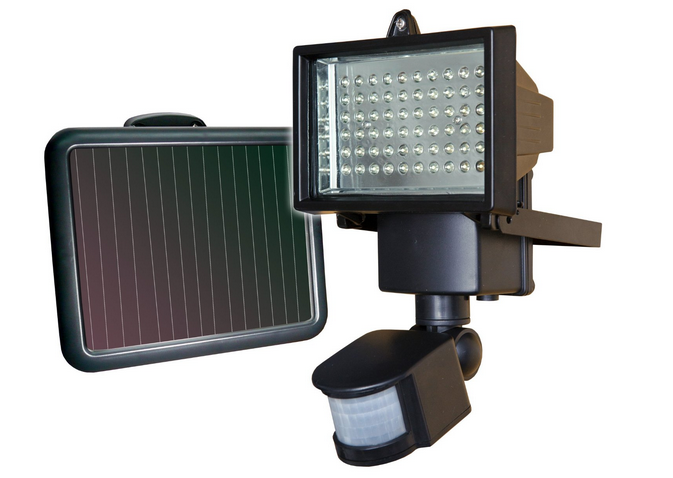 Solar security flood lights are typically installed in front of houses and in empty areas (parking lots) that need to be watched for unwelcome visitors during the night. It is a common view among house-owners that security flood lights can help to scare off a burglar once he will be surprised by the light unexpectedly being turned on. Also the light can warn the people inside and enables the visibility of the area allowing them to see the cause of the movement. Illumination and energy saving. 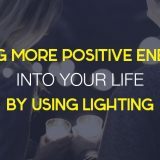 Imagine how much energy is simply being wasted by keeping the light on on your porch or in the hallway in your apartment building all night long. While there is no doubt that the light is needed simply for people to be able to make their way into their homes safely, it still seems rather illogical to have the lights on not knowing whether someone actually needs them. 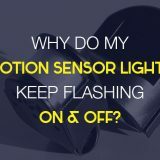 That’s why motion sensors are so handy once it comes to energy saving making sure that the light is being used only when someone is in a need for it in a certain part of the building/area. Invention of artificial lighting has undoubtedly marked very crucial turning point in the world’s history. It has transformed nearly every aspect of our lives: the way we work, live, do household chores, travel, study etc. Ever since the first bulb was introduced, the development of lighting technologies has advanced into numerous solutions applicable for different situations. We have one sort of lamps for home, another type of lamps for illuminating streets and completely different lamps for floodlighting events and concerts. Not only fixture types and designs have changed but also new types of bulbs have been introduced resulting in a choice which has never been wider and more diverse. Due to their multi-functionality which cannot be substituted by any other type of lamps, flood lights deserve particular attention in the whole range of artificial lighting products. This section will briefly guide you through the topic of outdoor floodlights and explain their technicalities so that you know in what circumstances and situations outdoor flood lights should be used and what to expect from this gear. 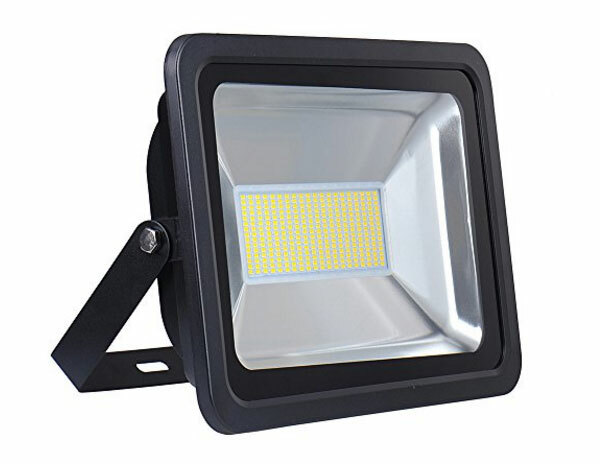 To explain the specifics of outdoor flood lights, one should start with understanding the technicalities and basics of outdoor floodlight lamp as a separate lighting category in general. Flood light is artificial lighting which can produce wide-beam light of high intensity. This allows illuminating very large areas such as parks, parking lots, stadiums, stages etc. but the latest trends show that apart from professional purposes more and more flood lights are being installed in private homes either for aesthetic or security reasons, or both. While majority of flood lights are being used outdoors, there is certain demand for indoor flood lights as well providing theaters, art galleries, opera houses etc. The paragraph however will solely focus on the outdoor flood lights and their aspects – functionality, ways of application and things to be considered upon purchasing. The usage of outdoor flood lights. 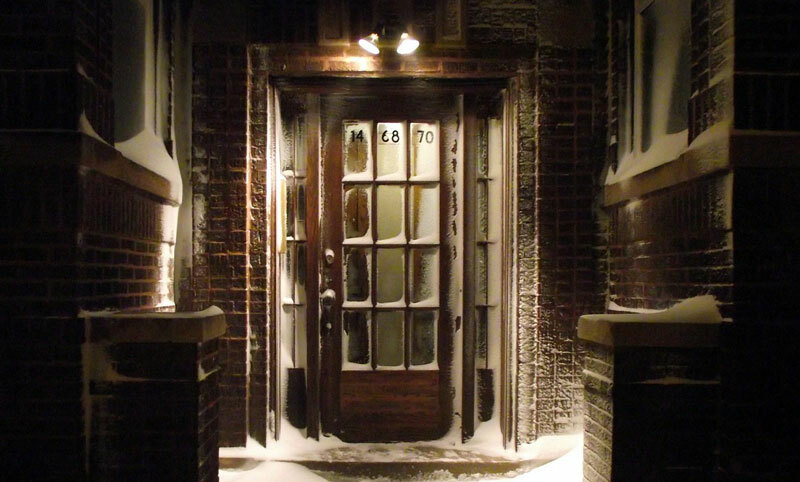 As front-door lights. Integrated with motions sensors, outdoor flood lights can surely make your way into your home a lot easier and safer illuminating the backyard or just the porch. As backyard and garden lights. Even during the darkest hours some people feel themselves calmer and safer if their backyard and/or garden is illuminated. This can help to spot any unwanted movements, as well is very useful if you’re organizing garden parties. As parking lot lights. Parking lots are particularly attractive spots for automobile thieves and hence it is necessary to ensure their visibility throughout the whole night. Since flood light have capabilities to illuminate such vast areas, they are perfect for brightening any car park. As driveway lights. Similarly as there is usually need to illuminate porch so that one could reach the entrance of house safely without groping in the dark for the keyhole, there is also a need to see the way to garage by floodlighting the driveway so that you could safely drive your car in and park it. As extra safety tool. Along with different alarms and locks, outdoor security flood lights are also one of the safety tools meant to deter the burglars and increase the visibility in case some unexpected movements and “visitors” have been identified. For these purposes motion detector outdoor floodlights happen to be the most effective options as they will make an unpleasant surprise for the burglar and most likely will make him change his mind. To highlight outdoor objects. Whether it’s a sculpture, fountain on gorgeous old tree, outdoor floodlights are a great way how to highlight these outdoor objects so that people could enjoy their beauty during the evening hours as well. Things to consider when purchasing outdoor flood lights. 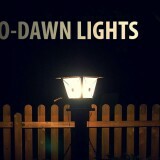 As said, outdoor floodlights now come in different designs and features e.g. energy efficient solar outdoor flood lights that use solar energy instead of consuming electricity and motion detecting outdoor flood lights that turn on and off only when a movement has been detected rest of the time saving energy in “switched-off” mode. So it is only reasonable that for people who have never dealt with purchasing flood lights it can be quite confusing process to go to a store and get the product that would most appropriately match the needs and have the desired outcome. Brightness. Different flood lights designed for different purposes have different brightness, for example flood lights meant for illuminating stages and stadiums are a lot brighter than flood lights meant for highlighting a pathway or smaller objects. If you want to install security flood lights, look for lamps with 500-1000 lumens of light, but for less bright lighting you should surely go for smaller lumens. Range. Range is the distance of the objects you would like to be illuminated. Take this aspect into thorough consideration because once in a while we get to hear about the cases when the neighbors of outdoor flood light owners are complaining since the lights are illuminating their property as well and disturbing sleep. Detection zone. This is the width of area that needs to be floodlighted. If you want to illuminate the whole backyard, you will need lamps with much wider detection zone whereas for illuminating just a single object, let’s say a tree, the detection zone can be a lot smaller. 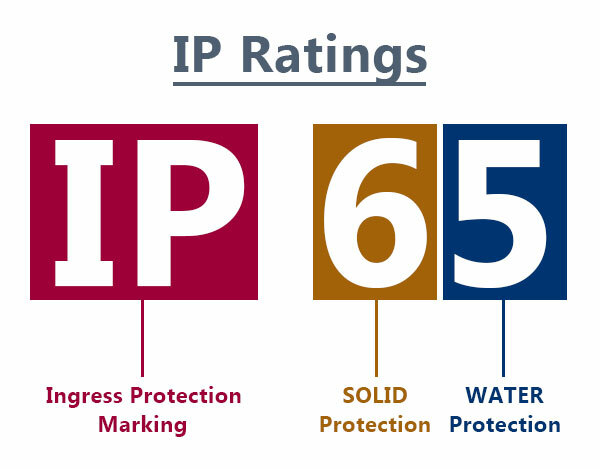 The first digit of the IP rating indicated protection against intervention by solid objects for instance number 1 means that the lamp is protected against a solid object which is larger than 50 mm (for instance hand) whereas value 5, means that the fixture has such a high protection that very limited ingress of dust is possible. The second digit indicates the degree of protection against moisture for instance value 1 means that the lamp will be protected only from vertically falling drops of water but the highest indicator 8 protects the whole object from full immersing in the water. What’s the difference between indoor flood lights and outdoor flood lights? Generally speaking indoor flood lights provide a lot softer light than the ones meant for usage in outdoor environments. They also are smaller in their size and usually easier to be installed. The wattage is also greater in the case of outdoor flood lights. No matter what sort of product you are buying, it is very necessary to consider its every aspect to ensure that you have made the best possible choice out of the vast wholesome. If you want to be a smart consumer, this principle definitely has to be kept in mind when buying lighting as well. In terms of outdoor flood lights, one should consider not only the type of fixture and additional features such as motion detectors or solar panels attached to solar outdoor flood lights, but most surely careful attention has to be paid to the choice of light bulb as well. 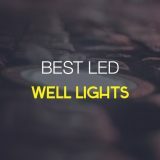 In this section you will be briefly guided through the most common types of outdoor flood light bulbs available and a general comparison between all the types will be provided. Choosing the most appropriate of all the bulbs will not only help you to gain the expected result out of your purchase (desired lighting effect that coincides with the particular purpose and situation) but also can have long-term benefits financially-wise since wisely chosen bulb can be considered as a great investment for the future and save you a quite significant amount of money that you would otherwise spend for the electricity. If you need your flood lights to be quite bright, then this is an option that by no means should be ignored. The beam of light produced by halogen lamps is very intense yet this is not the most energy efficient of all the possible options so carefully consider your priorities when making this choice. 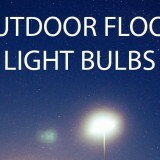 Outdoor flood light bulb type comparison. other physical qualities, such as lifespan. LED bulbs are very environment-friendly choice. 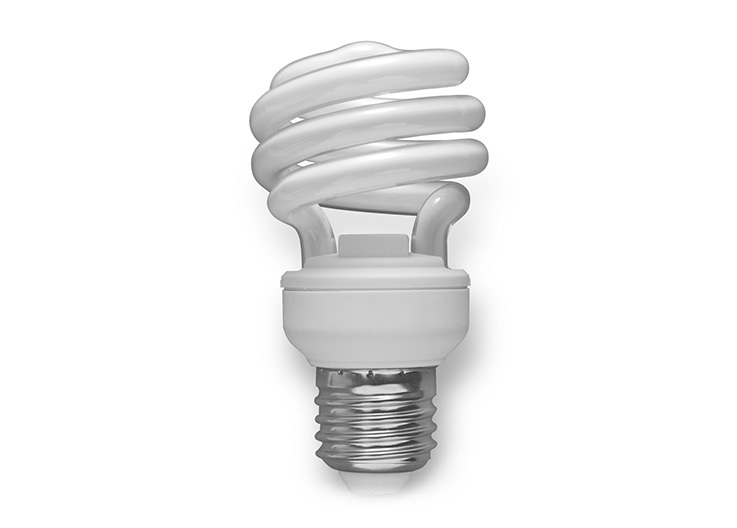 Since they do not contain any mercury (unlike from CFLs), when disposed LEDs do the least damage to the nature and what’s even more important – they do not cause any threat to your health. Also due to their comparatively long life-span, there will be less need for you to change the bulbs thus decreasing the amount of the bulbs disposed. Very suitable for connecting with portable generators. Due to their numerous advantages solar outdoor flood lights are becoming more and more popular and since LED bulbs have low power requirements, they are ideal choice for being run with solar panels. 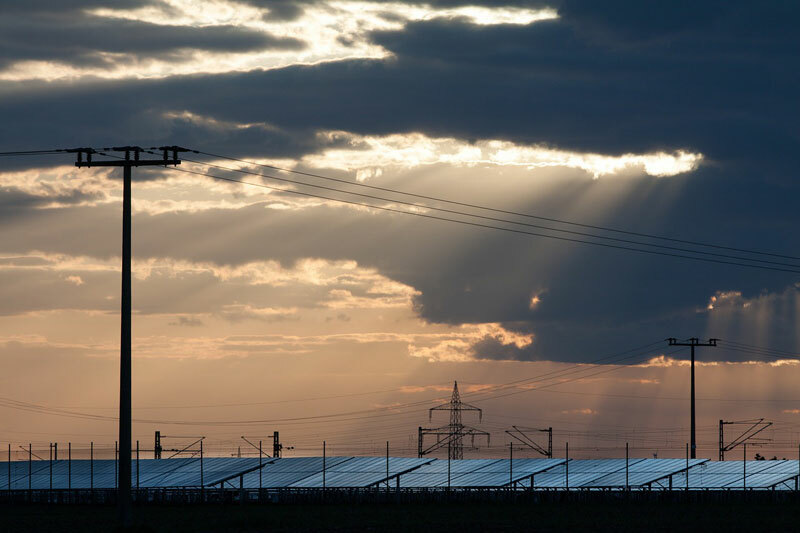 It means that it will take less for the panel to collect the necessary amount of solar energy to run the outdoor flood light up to its full capacity and brightness. 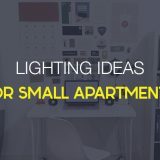 As mentioned above, some of the options are more suitable for particular purposes, for instance if you are looking for a really bright and steady beam of light, you should go for halogen bulbs or if your budget is very limited, then CFL bulbs will do as well but keep in mind that long-term thinking can save a lot of worries you might face in the future. 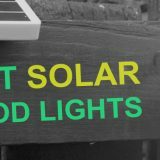 While consumers of solar lighting tend to ask a lot of questions about solar panels, a lot of them somehow seem to be quite careless about the choice of the battery. The battery is as important part as the panel since it is storing all the collected solar energy so that it could later be used for the designated purpose such as providing lighting during the night. In reality though solar light batteries are quite varied and every type of battery has their advantages and disadvantages that should be thought through before making the purchase. Battery typesWhich battery specs to look at? Currently, Lithium-ion based batteries are the most popular of all the options. 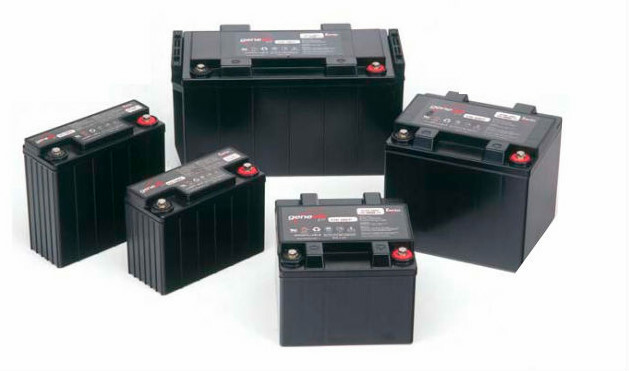 In opposite to lead acid batteries, Lithium-ion batteries have very high specific energy, they can provide high capacity and low self-discharge rate, and they also offer a long life span. Also they require minimum maintenance throughout the usage which makes the product very suitable for individual house-owners. Within the solar market, this currently is one of the leaders in terms of solar batteries and there are several qualities of Lead Acid solar batteries that are the reasons for this: lead Acid batteries are cheap, have long life-expectancy and comparatively low self-discharge rate. Plus it does very little time for this battery to be fully charged which means that it can be used in areas where the sunlight frequently tends to be interrupted by cloudy weather allowing you to quickly collect and store the energy even when the weather conditions are seemingly bad. Nickel-based batteries usually come in AA or AAA sizes but there a few manufacturers out there who are producing Ni-Cd solar batteries as well. The product is quite cheap and thus very available to average consumer. However since there are still quite a few drawbacks, these type of solar light batteries are still not the best choice to make. The main disadvantages include low energy density, high self-discharge rate and low life cycle. Another notables concern related with the usage of Ni-Cd batteries is that cadmium is a rather toxic metal, thus seriously polluting the environment once disposed in the landfills. Due to this, most western countries have applied special laws related for recycling of Ni-Cd batteries. 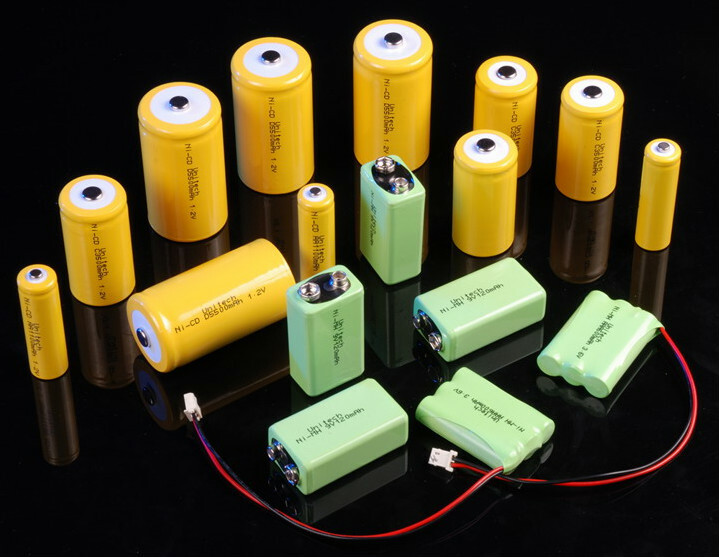 In 1990s Ni-MH batteries were introduced and they gradually have substituted Ni-Cd batteries. They have quite the similar properties but they have higher capacity and they do not contain any highly toxic components thus this surely is more environment-friendly choice to make. 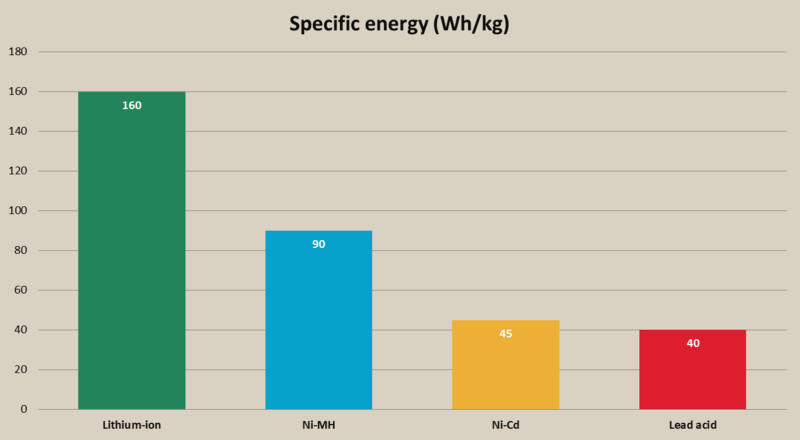 The only significant drawback for Ni-MH solar batteries is that they have very high self-discharge rate. In other words, these batteries loose quite a lot of energy even when not in use. 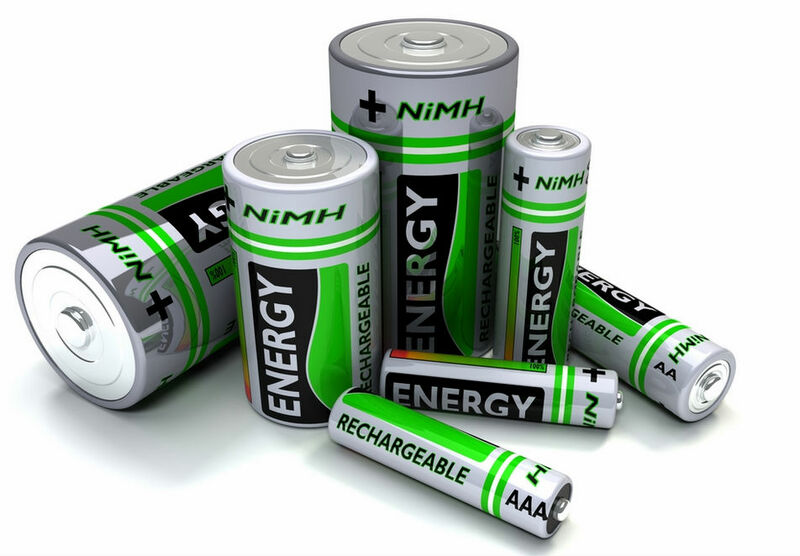 Although the technology of Ni-MH batteries is being improved to provide low self-discharge products, the best one you can get so far is a battery that can maintain up to 85% of their charge after not being used for a year. What to look for in solar rechargeable batteries? Of course, an average consumer has very little knowledge on the physics and different specifics of rechargeable batteries. If you are not buying the product in the retail store where you could inquire the assistant for a consultation, but let’s say making the purchase on-line, it is quite important to have at least the basic understanding of what each rate means in terms of using the battery for the designated purpose be it running solar lights or providing the whole household with energy. The most important factor that differs among the battery types and should be considered is the battery capacity. The storage capacity is the most important factor for every battery as it will tell you whether the given storage capacity will be enough for your purposes. Of course you must understand that either having solar-run pathway lights or running whole house on solar you need fewer energy and thus lower capacity for the former one, yet it does not answer the question of how high capacity you exactly need. Small formula can help you figure this out. In other words, a fully charged battery will store enough energy for 12.6 hours powered on 100 watt appliance. Although you have a brief description of each solar battery type given above, you might still have some doubts about which one of them you should really opt for. Based both on the opinion of retailers and consumers, Li-ion based batteries are currently the best possible option for storing solar energy. 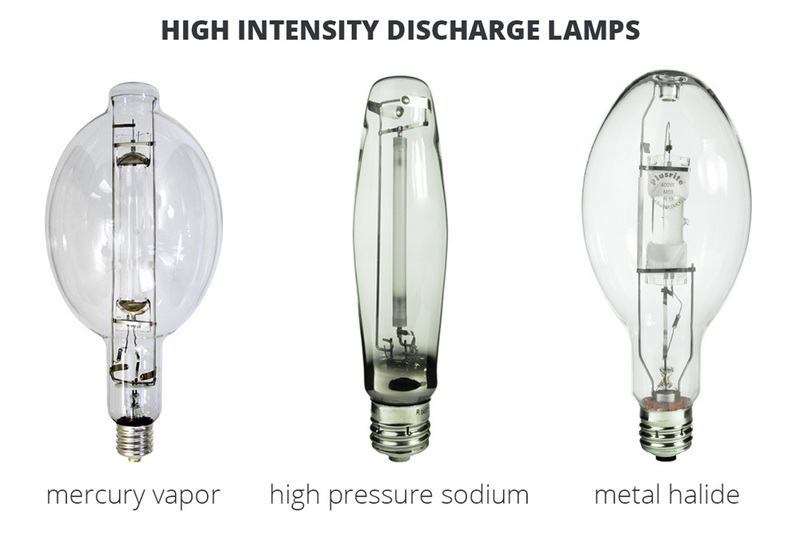 Their average self-discharge rate is only 2-8%, and life cycle can reach up to 2000 which means that theoretically their life time expectancy in solar lights can be even up to 6 years (for other types it’s 2-3 years). Although the cheapest of all the options is Ni-Cd, it is only used in low power solar flood lights, where Ni-MH batteries are going to be a better option. For high power solar flood lights you have to choose between lead acid and lithium based batteries. Lead acid batteries are currently cheaper, but they have much lower specific energy, which means that they require more cells (increasing size and weight of the battery) to store the same amount of energy as lithium based batteries. Li-ion batteries are becoming gradually cheaper, plus the high price pays off within a time since higher life expectancy means you will have to change the battery less often. Unlike Ni-Cd and Ni-MH batteries, Li-ion based batteries require no maintenance and this is a good aspect for the average users, who cannot invest much of personal time in constantly checking-up with the condition of the battery.